There are fears of a possible backlash to tourists in Spain following a huge increase in the number of people visiting the country. Figures from Spain's national statistics agency the INE indicate that between January and April 2016 there was a 13% increase in the number of visitors to the country, compared to the same period last year. So far this year, the number of Irish visitors to Spain increased at a higher rate than any other country, with a 25.6% boost (more than 375,000 visitors). All the main tourism regions in Spain saw significant increases in visitor numbers - with jumps of more than 20% for the Balearic Islands (which include Majorca and Ibiza), Andalusia and the Valencian Community. The increase in numbers comes amid increased uncertainty over tourism to popular destinations such as Turkey, Greece and Egypt. Visitor numbers to Egypt are said to be down 46% compared to last year, The Telegraph reports. The decrease there comes following the destruction of Metrojet Flight 9268 last year, which was travelling to the resort of Sharm el-Sheikh. Islamic State has claimed responsibility for the incident, which led to the deaths of 224 people. Turkey, meanwhile, has seen a decrease of almost 10% in visitor numbers this year. The country has been hit by a number of terrorist attacks in recent years. The Department of Foreign Affairs here advises Irish citizens against non-essential travel to Egypt, with exceptional warnings in place for specific areas of the country. Similarly, it advises visitors to Turkey to exercise a 'high degree of caution' as the threat from terrorism remains high. In March, Peter Fankhauser, Chief Executive of Thomas Cook, said the company is operating in a 'volatile market environment, explaining: "The early actions we took to move flights away from Turkey, Tunisia and Egypt have positioned us well for increased customer demand to resorts in the Western Mediterranean, with strong sales to the Canaries, Balearics and the Spanish mainland". Separately, Greece enjoyed a rise in visitors last year, but there has been an 11% drop so far this year, with the refugee & migrant crisis said to be among the factors impacting tourism. The Tourism Minister told Reuters earlier this year, however, that 'everything is back to normal'. 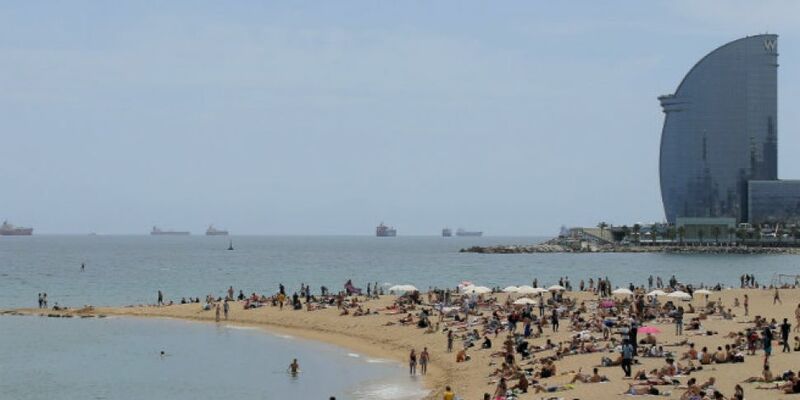 While Spain is enjoying a huge boost as tourists stay away from other traditional holiday destinations, there have been some concerns over a potential backlash. In a report for Reuters, Sarah White suggests that graffiti such as "tourists go home" can now be seen on some walls in Palma de Mallorca. With that sort of backlash still said be a 'minority protest', the huge level of tourism is, however, said to cause significant disruption for tourists and potentially put some of the country's beauty spots at risk. The local government of the Balearic Islands has already announced plans to bring in a tourism or 'eco' tax of up to €2 for overnight stays. However, with tourism estimated to be worth around 11% of Spain's GDP as well as more than 15% of the country's jobs, it seems likely that most Spanish people and authorities will continue to welcome tourists to their country.